Set amid the azure waters of the Indian Ocean, Sri Lanka has beguiled travellers for centuries with its striking natural beauty and over 2,000 years of culture. Less than a third of the size of the UK, this tiny island packs a lot into its modest surface area, including no less than eight UNESCO World Heritage sites and one of the most diverse wildlife populations in Asia. With patches of dense jungle, misty highlands swathed in incredibly green tea-plantations and expanses of wildlife-rich scrubland, the country’s landscape is refreshingly unspoilt, and you’re never more than a short drive from the palm-fringed coastline. 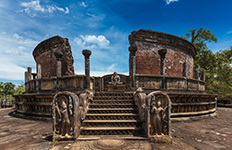 Glories of early Buddhist civilisation such as Anuradhapura, the Temple of the Sacred Tooth Relic and Sigiriya Rock Fortress remain an important touchstone of national identity in a rich and fascinating culture with religion at its heart. For an authentic Sri Lanka holiday experience with your own private local guides in each location and travelling in comfort and style, experience Sri Lanka your way, with the leader in private Asia travel - GetAboutAsia. We also offer small group tours designed for a lower budget or solo travellers who still seek for an authentic experience! Contact your Asia Travel Expert now and create your personal itinerary! 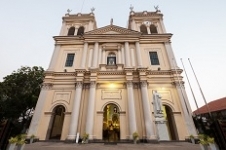 Discover ancient and modern Sri Lanka on this 12 day trip across the island’s southern and central provinces. Take in the majestic panoramic views from the top of Lion Rock before embarking on a safari at Minneriya National Park and enjoy a beach stay at Koggala. This classic Sri Lankan trip includes a day at Sigiriya Rock Fortress, a safari expedition and a visit to the sacred Buddha Tooth Relic, ending in cosmopolitan Colombo. 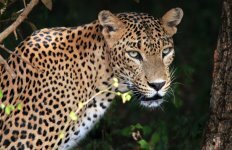 Enjoy the opportunity to get a close up view of some of Sri Lanka’s iconic native species and relax on the stunning beaches of the south coast. Experience the highlights of the Emerald Island on this 11 day adventure. Immerse yourself in the urban buzz of capital Colombo, climb Sigiriya Rock Fortress and glimpse the Sacred Buddha Tooth Relic in its beautiful shrine. 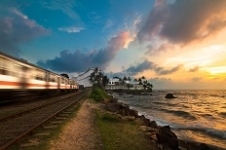 Travel from Negombo to Galle, taking in the inspiring relics of Sri Lanka’s vibrant past at Anuradhapura, Dambulla and Kandy. Discover the beauty of tea-country and venture across the wilderness on a safari adventure. 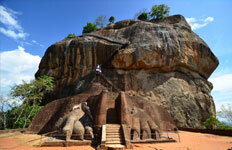 Explore and experience the country’s rich natural & cultural heritage on this 12 day trip across Sri Lanka. Discover Sri Lanka's iconic native species and marvel at the Dambulla Rock Temple. Visit Sri Lanka’s historical ancient cities, marvel at Sigiriya’s “Lion Rock” and wander the impressive ruins of Anuradhapura. Sip tea straight from the source in the beautiful, lush, green hill country. Explore the North Coast of Sri Lanka to see the history, beaches, culture and dine in local restaurants and move on to the famous cultural triangle of Sri Lanka; Kandy, Sigiriya & Nuwara Eliya. Discover Sri Lanka’s legendary natural beauty and centuries-old culture while staying in luxury boutique hotels. 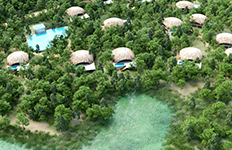 Combine the natural magic of Sri Lanka with the warmest hospitality. Come observe nature in all its grandeur when travelling to Sri Lanka. 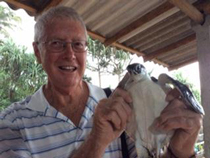 This 15 day adventure is designed for nature lovers & wildlife enthusiasts, providing unique outings in the wild. Take the whole family on an unforgettable trip through Sri Lanka and explore the highlights of this beautiful island. 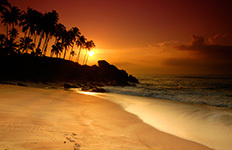 This 12 day trip is the perfect if you want to discover the nature and the culture of Sri Lanka. Discover the culture and wild, natural beauty of Sri Lanka on a seven-day sailing with the perfect mix of chill-out time and exploration. Ride through tea plantations, kayak down rivers, and hike to ancient fortresses on this fitness focused adventure from Negombo to Colombo.